Are visions of renovating a stately, older Royal Oak Michigan home for sale dancing in your head? Older homes offer a unique beauty that can’t be found in newer homes. And, rehabbing them can be rewarding. But, think twice before taking on this difficult and expensive task. 1. Plumbing problems. The plumbing in older homes can be inefficient or downright unreliable. Homes that are 25 years old or older almost always have plumbing problems with the most common problem being lead pipes. Even after lead pipes were replaced in the late 1940s, the earliest galvanized steel pipes still contained lead. Lead also was present in much of the solder used to join copper pipes as recently as the mid-1980s. 2. Electrical issues. Electricity in older homes may not be grounded and wiring may not be safely installed. Even if the electricity is grounded, it may not be available in the quantity needed for today’s home and the vast array of gadgets that depend on electricity. Electrical boxes in vintage homes were typically 60 or 100 amps. Today’s standard is 200 amps. 3. Lack of insulation. Older homes are typically drafty, cold and uncomfortable. Not to mention expensive to heat and cool. Check the type of insulation that was used. Many older homes were insulated with newspaper, asbestos, or not insulated at all. 4. Cracked foundations. The foundation materials used in older homes, such as cement and cinder blocks, crack and leak over time. These days the exterior sides of foundations are commonly sealed; not so with older homes. As a result, water seepage occurs and can lead to structural threats and health issues such as mold. The wisest thing to do before buying an older home is to have it thoroughly inspected by a professional home inspector. Then, calculate exactly how much time and money it’ll take to renovate the home so it matches the vision in your head. Whether your dream is to buy an older or newer Royal Oak Michigan home for sale, I can help. Give me a call today at 248-514-2640 or email me at info@NorthWoodwardHomes.com. Energy efficiency and other aspects of environmentally-friendly living are very important to today’s home buyers. As a homeowner who wants to sell your property quickly and for as much as possible, it’s crucial to highlight the green elements of your Royal Oak Michigan home for sale. Highlight energy-efficient features. What energy-saving systems and appliances do you have in your home? Take an inventory of your home and identify items such as low-emittance windows, furnace or air conditioner with a high-efficiency rating, programmable thermostats, solar/wind/geo-thermal elements for the home or pool, improved insulation or a tankless water heater. Add these features to the marketing materials for your Royal Oak Michigan home for sale. Publicize health benefits. Does your home have high efficiency air filters which remove indoor air pollutants? Did you use low-VOC (volatile organic compounds) paint which reduces problems with allergies and chemical sensitivities? What about eco-friendly flooring such as low-VOC carpets, cork or reclaimed wood which do not release chemicals? Mention these features and their associated health benefits. Promote natural elements. Consider the functional natural elements you have inside and outside your home. Natural lighting coming in through windows or skylights. Strategic placement of trees to provide natural shading. Mature trees or shrubs, vegetable or flower gardens and fruit trees. Eco-friendly gardens and lawn grown without the use of harmful pesticides. Effective use of cross ventilation to cool your home when the windows are open. Use of plants to reduce soil erosion. Promote these elements to your buyers. Advertise water conservation. You may be surprised how inexpensive it is to add water-saving features to your home. Shop for water-saving toilets, shower heads, dishwashers and washing machines. Plant landscaping that doesn’t require extensive watering. Buy a rain barrel to collect rain water for use in garden or landscaping. Be sure to advertise these water- and money-saving benefits. In your marketing campaign, you may also want to remind potential buyers that purchasing an existing home is greener than having a new home built. That’s because it does not require the energy or materials needed to construct a new home. If you’d like to put your Royal Oak Michigan home up for sale, you’ll get the results you want from my proven 30-Day Marketing System. For more information about my system, give me a call today at 248-514-2640 or email me at info@NorthWoodwardHomes.com. 1. Going it alone. Buying a home involves a lot of little (and big) details. Additionally, buying a home is the most expensive purchase you’ll most likely ever make. All that adds up to needing a professional on your side. 2. Hiring your cousin. Although your cousin (or cousin’s best friend) may be a Bloomfield Hills real estate agent, it doesn’t mean she’s the right agent for you. Do your homework. Interview at least three buyer’s agents to find the agent who meets all your criteria. If your cousin meets all your criteria, then hire her. But only after you’ve done all your homework. 3. Working with the seller’s agent. One of the most costly mistakes you can make when buying a Bloomfield Hills MI home is working directly with the agent who is selling the home you want to buy. They are not looking out for your best interests. They are looking out for the best interests of the seller. Instead, hire your own buyer’s agent. 4. Assuming your lender is giving you the best deal. Lenders are not required to give you the very best terms. It’s your responsibility to shop for a mortgage the same way you shop for anything you buy. Consider this: You’re not just buying a home; you’re buying a very expensive financial product — a mortgage loan. Getting the best mortgage terms can save you thousands of dollars. For example, if you get a mortgage for $250,000, at 5 percent interest and keep that loan for a full 30 years, you end up paying $229,910 in interest alone. Insist on the best mortgage terms, or find a new lender who’s willing to give them to you. 5. Making an unappealing offer. Yes, this is a buyer’s market, but that doesn’t mean sellers automatically accept any offer that comes their way. Make your offer impossible to resist by offering the highest price you can, making the largest down payment possible, getting preapproved for a mortgage and attaching a copy of the preapproval letter to your offer. 6. Forgetting about resale potential. Statistics show that the average first-time home buyer only stays in a home for four years. That means you need to consider the home’s resale potential now, before buying it. You may love the hustle and bustle of life on a busy street, but the majority of buyers do not. You may only need 2 bedrooms, but the average buyer wants 3 or more bedrooms. If you have any questions about buying Bloomfield Hills real estate or avoiding the mistakes many first-time homebuyers make, give me a call today at 248-514-2640 or email me at info@NorthWoodwardHomes.com. Require minimal maintenance. Southeast Michigan real estate with newer appliances, smaller yards and that have been well-maintained, are typically easier and less expensive to continue to maintain. Attract long-term, well-paying renters. Your goal is to get renters who will take good care of your southeast Michigan real estate, stay a long time and pay on time. While lower-priced properties near colleges may be easy to rent, they typically attract students who tend to be loud, messy and short term renters. On the other hand, rental properties that are in the highest price range may attract renters who are in jobs that require them to move frequently or who will quickly purchase homes of their own. Located in highly-populated, low-crime areas. Steer away from rural areas where there are fewer potential renters. Look for homes in neighborhoods that have low crime rates and good school districts. Neighborhoods near public transportation, grocery stores and shopping malls attract renters. Zoned for renting. Always check to be sure the property you intend to lease is approved to be rented by local zoning or home owners’ associations. Priced properly. Your purchase price must be low enough to allow you to set the rent within a range the local market will bear and that will earn a profit for you. Be sure to take into consideration every expense of owning, maintaining and renting this property, when considering if you can turn a profit and have a positive cash flow from the start. Interested in buying a rental property? I can help. Give me a call today at 248-514-2640 or email me at info@NorthWoodwardHomes.com for more information. No doubt you’ve heard about the rising number of Oakland County MI short sales and foreclosures. If you’re thinking that now would be a good time to jump on the bandwagon by purchasing one of the Oakland County MI short sales or foreclosures, here are a few tips to help you find (and buy) your dream home. Know how much home you can afford so you can determine your price range. You don’t want to waste any time looking at property that won’t fit your financial needs. If you do, you might even miss the deal you’re looking for. Many lenders will pre-qualify you. The process doesn’t take long and you’ll be able to look at Oakland County MI short sales and foreclosures with confidence. Your number one best resource for Oakland County MI short sales is your real estate agent who is able to guide you to the properties that best fit your needs as well as show you the properties. Your local bank should be able to give you a list of homes that have been foreclosed on. Narrow down the list to your favorite properties. Then, investigate the homes and the areas they’re in because the neighborhood has an impact on the value. In addition, carefully assess the properties for damage and calculate the cost of the repairs. After you’ve done the math, pick the house that suits your needs. If you don’t want to do all the assessments and make all these decisions on your own, work with a professional southeast Michigan real estate agent who can guide you through this process. Okay, you’ve found the property you want to buy. What should you do now? It’s time to put in a bid on the property. If you aren’t comfortable negotiating (or if you aren’t good at it), let your real estate agent place your bid and negotiate the deal for you. If you need to move quickly, be aware it will probably take longer to close on a short sale property. Ready to get a great deal on one of the Oakland County MI short sales or foreclosures? I am a Certified Distressed Property Expert and I can help! Call me today at 248-514-2640 or email me at info@NorthWoodwardHomes.com. Today’s turbulent southeast Michigan real estate market means the days of selling homes without any planning or preparation are a distant memory for most people. Don’t put all of your eggs in one basket, because there is tons of competition and buyers are not hunting southeast Michigan real estate in a hurry like they once were. To sell your house quickly, staging and well-thought-out marketing plans are now necessities — not luxuries. Do you know how to best present your property? What are the most effective ways to get buyers in the door? Using the tips and techniques below, you can begin to emerge from your rabbit hole and quickly move on to your next home with as much money in your pocket as possible. Price it Right – No amount of marketing or staging will help if your property is overpriced. For most people, it’s hard to look at their home objectively. Compare it to other southeast Michigan real estate properties for sale in your neighborhood, and take into account square footage, upgrades, location, and amenities, as well as, current market trends. Develop a Marketing Plan – You have to decide the best and most cost-effective way to get potential buyers in your house. Rarely is a newspaper ad or an Internet posting enough. Today’s competitive southeast Michigan real estate environment requires more aggressive techniques which includes everything from social media marketing to prompt follow-up chats with potentially interested buyers. Do you need egg-stra help preparing your southeast Michigan home for sale? I’d love to share my 30-Day Marketing Plan with you. Give me a call today at 248-514-2640 or email me at info@NorthWoodwardHomes.com for more information. Are you looking for the ideal home for you and your family? You may find yourself trying to decide between two similar homes, one being an Oakland County MI short sale property. You could have worse problems than this on your search for the perfect home, but how do you decide which home is better for you and your family? Location. This is where you are going to live. You need to consider how far away it is from work, schools, and shopping. You probably want to do as little driving as possible. A home close to where you will be spending your time away from home may be the better choice for you. Home repairs. What will you need to do to the home once you move in? Think about the time and money you will have to invest in the home before making your decision. One of the homes might be in slightly better shape, and may be the better option for you so you can concentrate on getting settled in your new home after moving in. Age of appliances. This can make a big difference in your choice. Do you really want to have to replace the appliances soon after you move in? You might be better choosing a home with newer appliances. Hobbies. Is there a car lover or avid crafter in your family? Look at which home has the most to offer these people. Perhaps one garage has been expanded or has built-in work benches. Maybe a closet already has a space to organize craft supplies. Time to complete the sale. If you need to move in a short time frame, buying an Oakland County MI short sale property may take longer to complete the real estate transaction. Let me help you find the home that best fits your lifestyle. If you’re looking to build value in one of the Oakland County MI short sales or a foreclosure, I can help! Call me today at 248-514-2640 or email me at info@NorthWoodwardHomes.com. Spring has arrived and hopefully homeowners have managed to avoid the long winter of foreclosure madness and can finally see the light of spring. For the past three years, the economy has forced more and more Michigan homeowners to go into foreclosure or decide to sell their property as a short sale house in SE MI. With layoffs, hiring freezes and pay cuts, owners’ once-secure homes can be put into a precarious predicament. If you find yourself in a place where you can’t pay your mortgage, know that there are options other than just letting foreclosure take hold. Here are a few strategies for holding on to your house or getting the most from it. Refinance your loan – Talk to your lender to find out if you can refinance your loan at a lower rate — your monthly mortgage payments could become much more manageable. Sell the property – While your home might not have appreciated as much as you’d hoped, at least you’ll get your finances under control and reduce your stress. 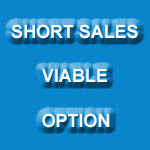 Sell Short Sale – Consider selling as a short sale house in SE MI. If you owe more on your mortgage than the home is worth, the lender may agree to a short sale which is preferable to a foreclosure. You’ll need to find an experienced Certified Distressed Property Expert with specialized training in short sales and the complex issues they present. File for bankruptcy – You can halt an imminent foreclosure by filing for bankruptcy. An automatic stay will be granted, and while this doesn’t guarantee that homes are safe, it does give owners precious time. Discuss a deed in lieu of foreclosure – Make a trade with your bank. It will get the deed to your property if you’re absolved of all debt owed on the home. This is especially advantageous if you owe more than what your house is worth. Ask for forbearance – If your lender agrees to forbearance, they are giving you a grace period to catch up on all your bills without threatening foreclosure. If you receive a notice of default, don’t immediately give up! There’s still time for you to get your finances under control or at least reclaim some of your equity. If you need to sell your home, I can help. I’m not only a Certified Distressed Property Expert with experience in handling short sale houses in SE MI; I’m also a licensed Michigan attorney with extensive legal experience. Give me a call today for more information about how you can avoid a foreclosure, at 248-514-2640 or email me at info@NorthWoodwardHomes.com for more information. Do you know how closing costs actually work? Or, how you’d use CMAs (comparative market analysis) to evaluate Southeast Michigan real estate in Oakland County? And, can you decipher all of the abbreviations and acronyms, such as FDR, lo dues and MLS. Don’t let the hectic housing market overwhelm you. If you understand Southeast Michigan real estate lingo, you’ll be more knowledgeable and able to easily achieve your real estate goals. If you have questions about any of these terms or want help achieving your real estate goals, call me at 248-514-2640 or email me at info@NorthWoodwardHomes.com for more information.